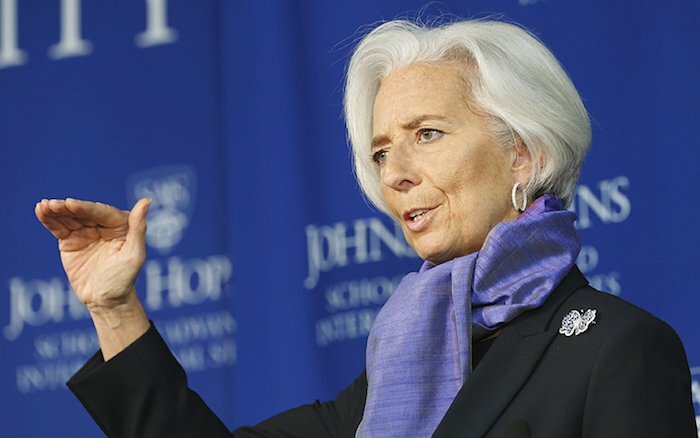 Primary surpluses of 3.5% over the next ten years are not feasible or achievable, and this is well known, International Monetary Fund Managing Director Christine Lagarde said on Wednesday. Lagarde acknowledged that Greece has made progress in the reforms required by creditors, however, she insisted that the country’s debt is not sustainable. “The Greek debt sustainability analysis must be conducted on the basis of reasonable forecasts,” she said. The IMF head pointed out that the Greek government is aware that pension reforms are absolutely necessary and that the current system leads to a cumulative accumulated deficit. On his part, Director of the Fiscal Affairs Department of the IMF, Vitor Gaspar, said that the estimate for the 2016 primary surplus is temporary and is under review: “We do not have the final figures but only estimates for 2016,” he said. Gaspar added that if indeed the estimated primary surplus of 3.3% were confirmed, then the original target (0.5%) would have been surpassed. However, he noted, this figure is based on interim measures. The IMF considers that primary surpluses of 3.5% of GDP for many years are not attainable. For the medium term, surpluses of 1.5% are more realistic, the Fund official believes. In order for Greece to reach its fiscal targets, Gaspar said, it is necessary for its debt should be restructured.